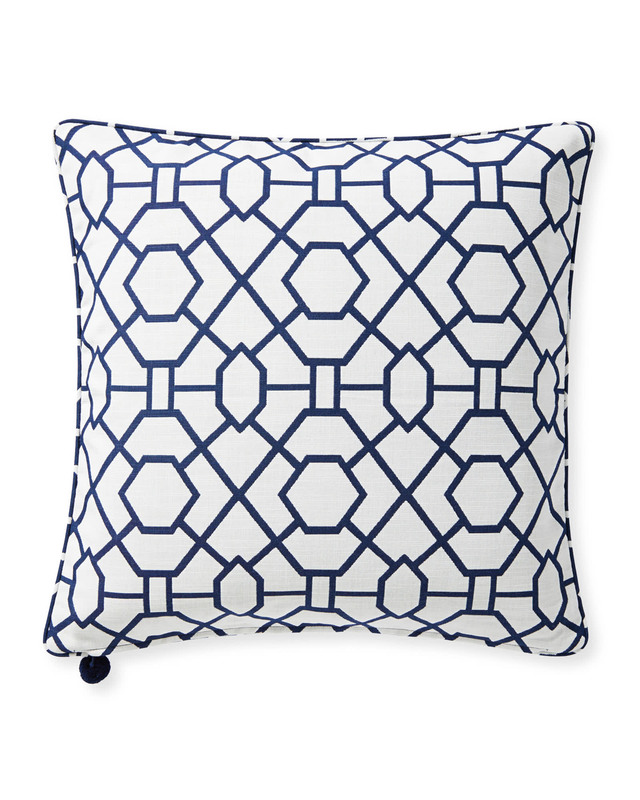 Perennials® Trellis Pillow CoverPerennials&reg; Trellis Pillow Cover, Navy alt="Perennials&reg; Trellis Pillow Cover, Navy"
Print Beautiful pillows aren’t just for indoor spaces. 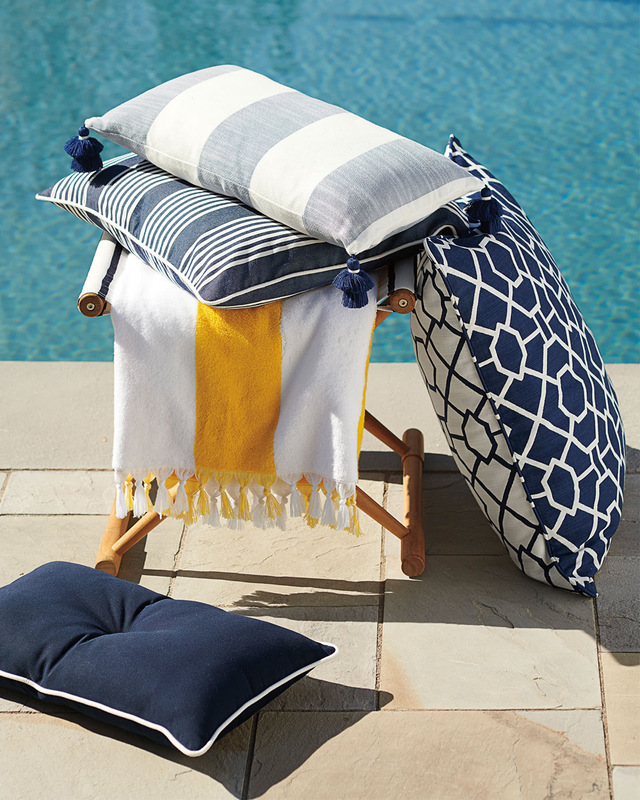 Wonderfully resistant to sun and moisture, this pillow is designed to go everywhere, so you can be as comfortable on the patio as you are in your living room. 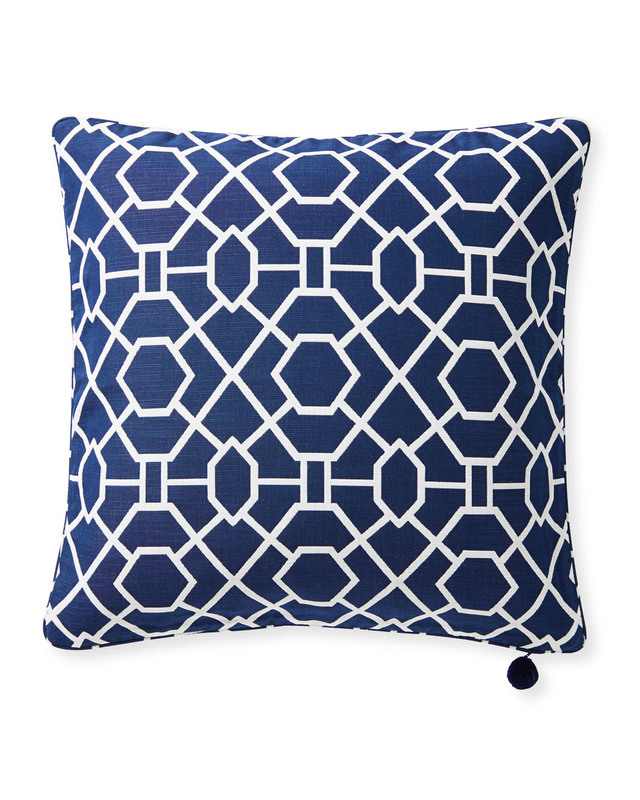 We love how the two-toned geometric livens up a look. A pom-pom on the zipper pull adds a playful pop. 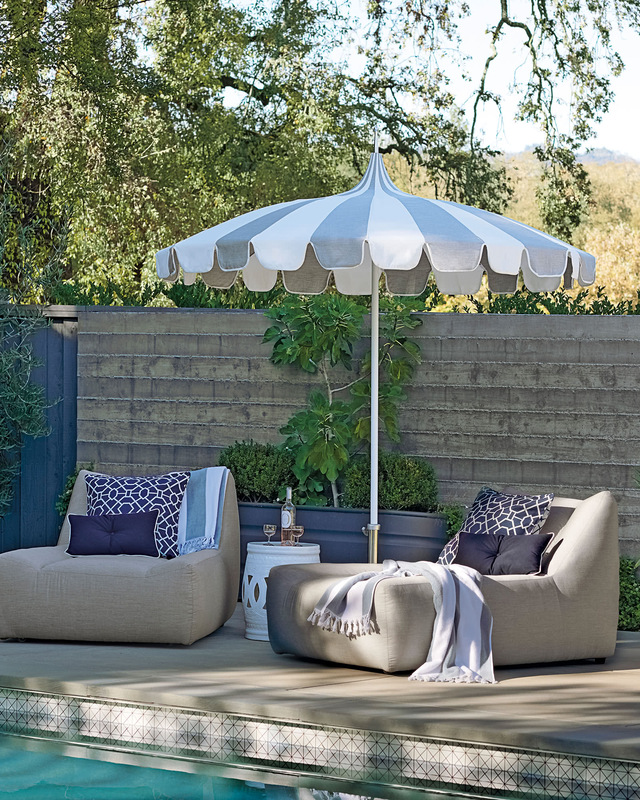 Luxurious Perennials® Performance Fabrics are known to resist UV radiation, mold, mildew, and staining, for pillows that stay beautiful season after season, indoors or out. Hidden zipper on back with an attached pom-pom. 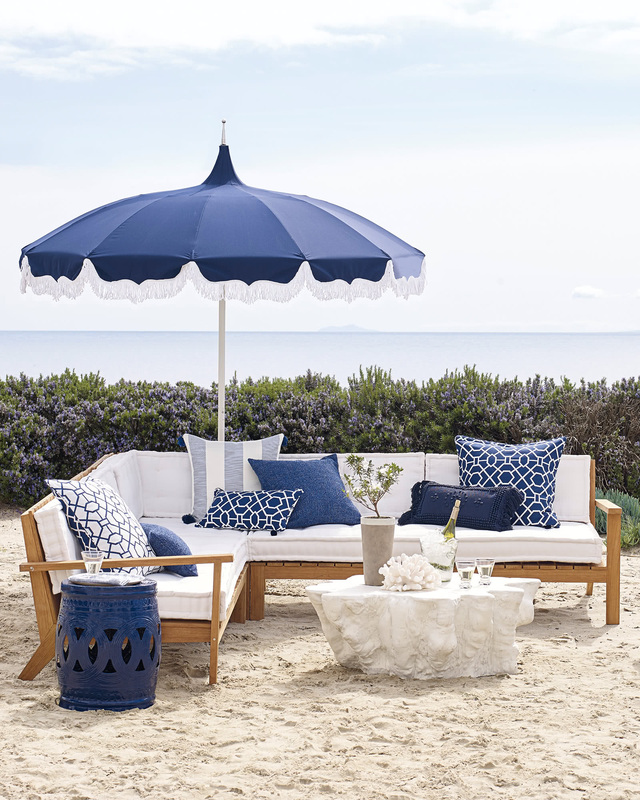 Chlorine bleach will not affect the coloration of the solution-dyed acrylic fiber – use it for stubborn stains, but try a solution of one part bleach, two parts water. (Chlorine bleach, strong chemicals, or harsh detergents will eventually affect the strength of any fiber or cloth.). 12" x 21" or 24"SQ.